Big brands and technology trendsetters are pacing up to bring self-driving cars to the market. In this entire rumble, Tesla and SpaceX CEO Elon Musk recently announced its foray in the Middle Eastern market. While addressing a panel at World Government Summit in Dubai, he cited that self-driving car systems are imminent within the next few years, however, it might take longer for the tech to fully “disrupt” manual driving. This is key, as it establishes the critically of implementing comprehensive software testing methodologies and leveraging right Test Data for Continuous Testing. In path-breaking scenarios like these, it is inevitable to build the product/service with robust quality testing processes and methodologies. It is even more critical to manage and retrieve test data for further optimization. This data and centralized software testing methodologies can enable enterprises to effectively implement Performance Testing. Why consider Test Data Management? Test Data Management, also referred as software test data management, entails planning, designing, storing, and managing software testing processes and methodologies. It enables the software quality and testing teams to control and check the data, files, methodologies and policies across the entire software-testing lifecycle. The underlying purpose is to create, manage and maintain the source codes of the application/software for testing. 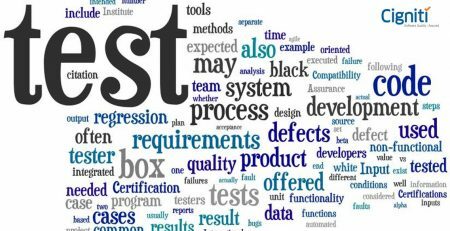 With Test Data Management you can separate test data from production data and retain the version of tested software, bug tracking and other software-testing processes. 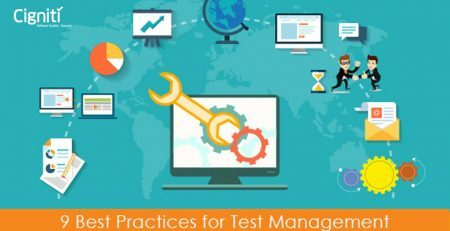 Another key objective of Test Data Management is to minimize and optimize the amount of software testing data and at the same time collate, centralize, and standardize software testing documentation and testing resources. It is critical during the testing lifecycle, where the data generated and collated is massive for testing the application/software. When the results get reported, it reduces the time spent on processing the data. This further helps build efficiency of the overall application / software. How can Test Data Management garner a 2x growth? With the traditional software development processes, the development teams normally have inadequate access to test data. This primarily drives the need for effective Test Data Management. It can empower development teams and rise above the ‘data trouble’. The quantum of applications being developed and tested are increasing drastically. As a result, testing and development teams cannot work in silos. They need full access to the testing methodologies, test execution data, and standards. It helps to incorporate enhancements and corrections at every level, and make the development environment conducive for Continuous Testing. Organizations are observing the benefits of Test Data Management and have even included the use of synthetic data generation tools, sub-setting, and even masking for controlling production data. Test Data Management can help you triumph over the inadequacy of key data points. The new age software development and testing methodologies need faster, and more recurring release cycles to tackle various new challenges posed by the digital world. In this context, it becomes inevitable for organizations to create a test environment with the necessary test data and testing standards. Test Automation can help speed up this process in the software delivery pipeline, where every element gets automated and the process remains iterative. It doesn’t let the project cripple due to speed constraints or delayed detection of bugs. Bug tracking is critical and can cost a billion dollars for the enterprise. Test Data Management helps provide the right test data at the right time for the required action. One of the key reasons for failure of an application is the inadequacy of test data with the development teams. The number of Test Data Management tools in the market continue to grow in line with tools such as data archival tools, ETL tools, and hardware-based disk storage tools, and so on. However, the gap prevails and it becomes imperative to understand the underlying challenges with TDM. One of the glaring challenges is maintaining Data Security. The recent instances of Data breaches have shot up, which can, and have been impacting the application development process. Apart from this, explosion of test data and the ultimate costs associated is constantly increasing. Organizations are working towards improving data reusability, however, the requirements of application development teams are not adequately met. Experienced Test Data Management teams are trying to leverage new technologies to make the required data retrievable with ease, security, and speed. Data Virtualization is seen as the solution, where virtual data can be made available in minutes and doesn’t incur physical infrastructure costs. In order to keep Continuous Testing moving, Data Virtualization further equips the end users with self-service data controls to source data anytime anywhere. This helps make the software testing process more iterative and cuts down the delay. Evolved and experienced IT organizations are going a step further with Test Data Management, specifically, with integrated data masking and distribution. With this the administrators can deliver virtually available data to the development teams within minutes and even run repeatable masking algorithms to align the Operations and Development processes. 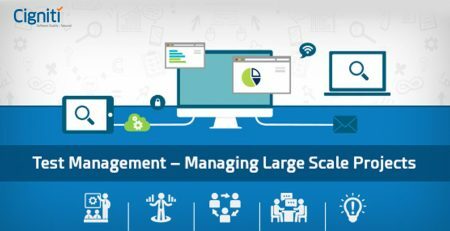 All in all, effective Test Data Management facilitates faster delivery of applications, reduced costs and consequently better alignment with the business objectives. It is a risk to ignore Test Data Management, particularly, in a scenario where the production environment can change in a jiffy. You can simplify the testing process with some quick best practices for Test Data Management before your application hits production. At Cigniti, we have implemented robust test data management practices for complex enterprise platforms. We have 200+ experts in the Data Governance practice, and with our experience and expertise we have supported enterprises to implement solutions for centralized data governance, automated data management, data analysis & identification, and improved availability of test data. Connect with us to Improve, Institutionalize, Implement, Automate & Protect your sensitive and resourceful Test Data for a more equipped Quality Assurance set-up.